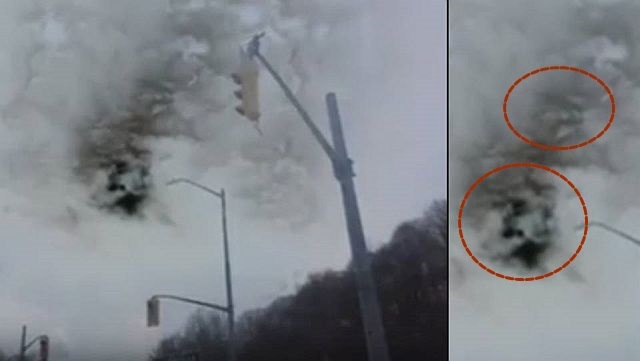 A dashcam video of a strange cloud formation uploaded by channel zero shows a partially cloaked object that looks similar to a flying saucer. Even stranger is the mysterious shape below the UFO depicting a creepy reptilian face. Although the video uploader did not mention the date and location, the recording itself is very interesting. Remains the question; was it a natural sky phenomenon or not!